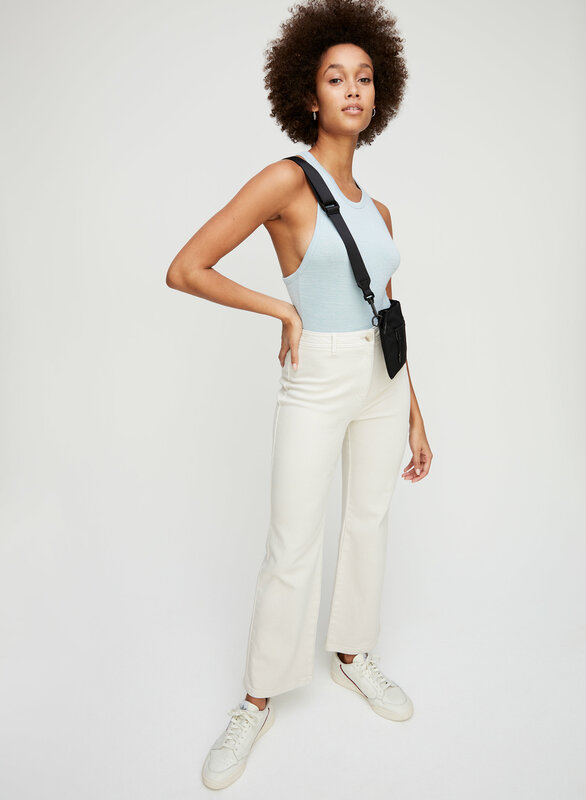 Styled with lizzie pant and amy flat crossbody . 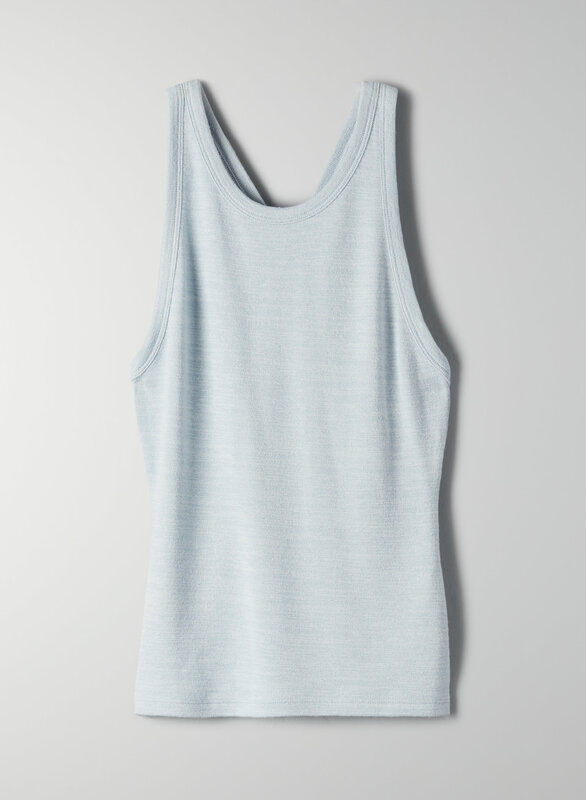 This is bodycon racerback tank with a scoop neck and elongated armholes. It's made with Wilfred Free's signature Reposa™ fabric, a soft jersey knit that drapes beautifully.